Regardless of price point everybody is welcome at our studio. It's funny because my mother probably would have never stepped foot into a store like mine. Maybe it's because she would assume everything is way too expensive for her to afford. Honestly, she would be wrong. We really try to speak to a variety of price points to fit many people's budgets. Don't get me wrong, you can spend a pretty penny. But these days many people can mix high with low, such as the Oilo room featured below. This is Emily Maynard's nursery Designed by Annalisa Thomas of Oilo. The room came out lovely. But you will see how she mixed a $399 crib with $1295 glider. Check out the rest of the reveal here. I don’t think people realize I sell cribs & beds at a variety of price points. But I actually do. Now I am not Ikea, but if you want to spend $379 on a crib, you can do that at Everly & Monet. 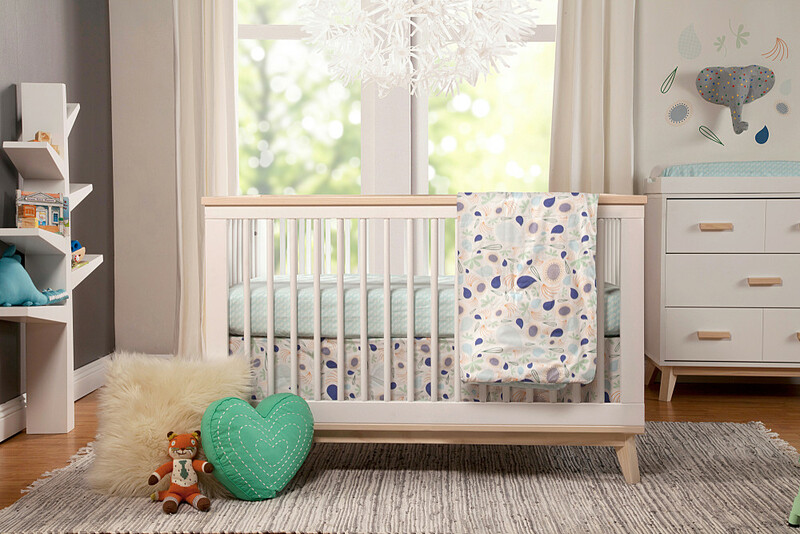 The truth is if you can buy a crib/bed at Potterybarn, you can also buy it with us. That is why I am so glad to represent companies like Million Dollar Baby & Babyletto. These lines are very safe & super cute. Many of Babletto's products are greenguard certified.